Traditional Chinese Medicine or TCM is a field of medicine that involves balancing the body. TCM is the primary way of practicing medicine in China. The practice of TCM is over 5000 years old that is based on the philosophy of Yin and Yang. Your body function through Qi (energy) that flows through the body. Qi circulates through channels that are called meridians that communicate in a complex network that must be harmonized throughout the body. The most effective way of regulating the Qi in the body is with Acupuncture. TCM aids the body in healing itself. This concept is commonly understood as homeostasis. 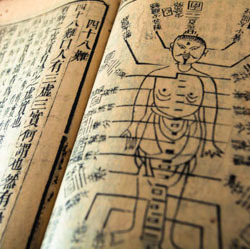 TCM is based on simple theories and a unique way of understanding the physiology of the body. Many functions of the body can be associated to the healthy function of the organs. When Qi is imbalanced many illnesses are manifestations of acute & chronic conditions. Understanding these theories are very important so that proper diagnoses can facilitate a proper treatment plan.